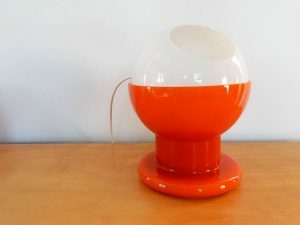 This is a very nice and decorative midcentury table lamp. 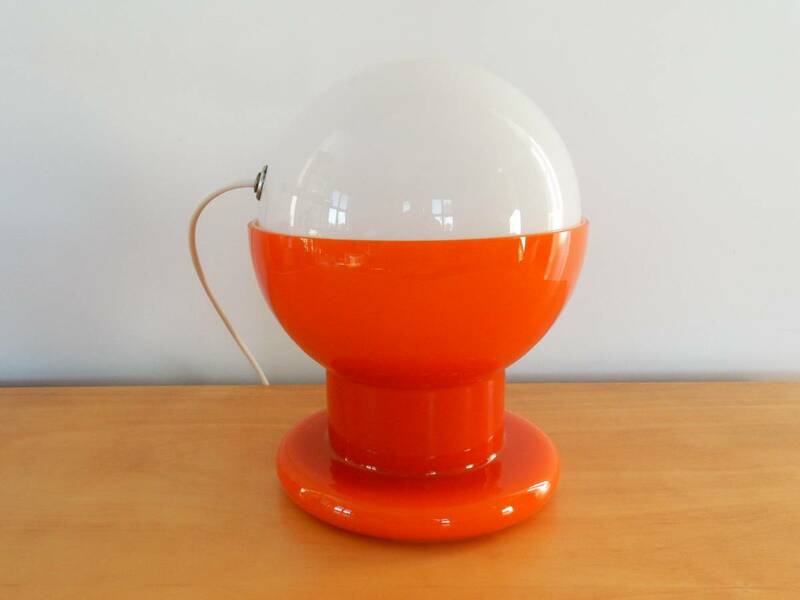 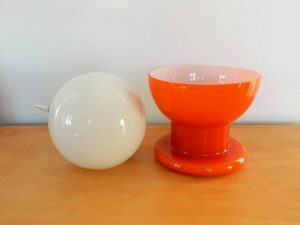 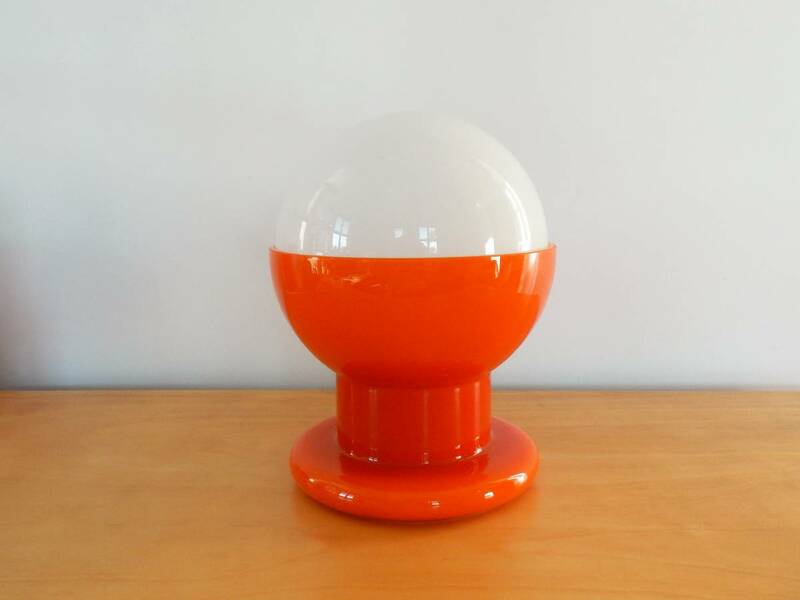 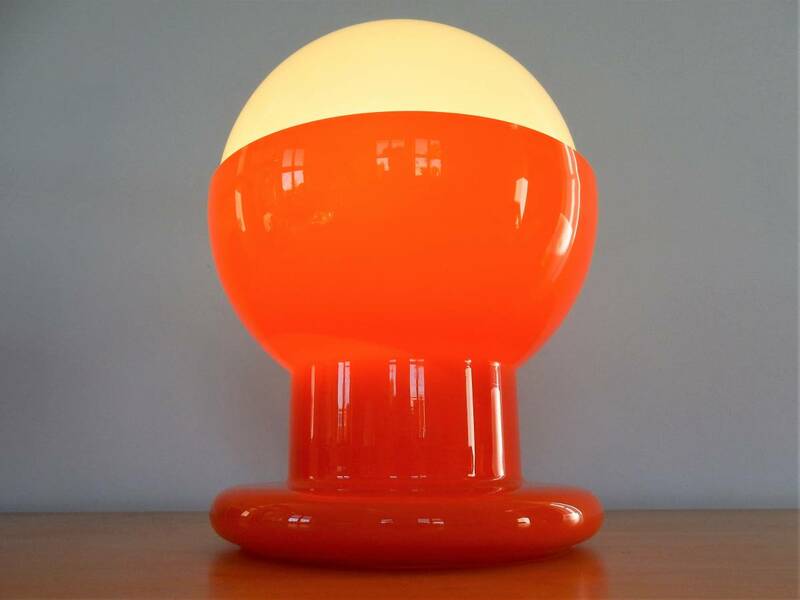 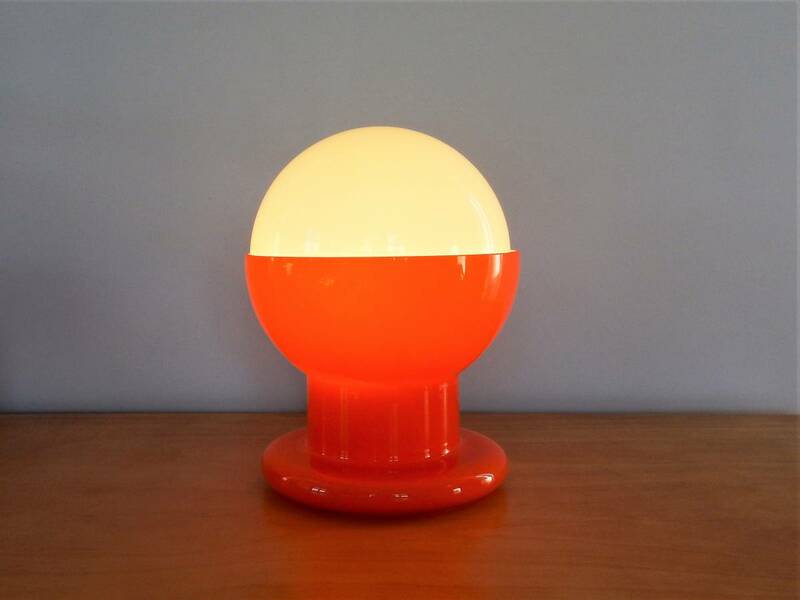 It is a white glass ball on an orange glass base, which gives a very nice effect and light. 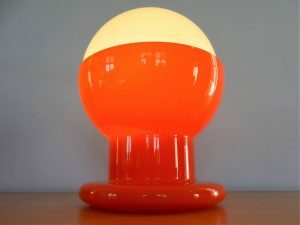 It is a light that we have not seen before, could be Holmegaard, Murano glass or German(?). 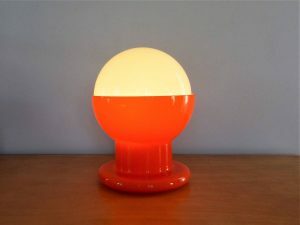 It is in a very good condition.